The art of surgery has come a long way, not always being as finely-tuned as it is today. There was a time when going under the knife was fatal rather than life-saving, and this time was as recent as 160 years ago. The first of these obstacles to be overcome, the understanding of human anatomy, was down to a young Flemish physician, Andreas Vesalius. Over a series of blog posts, we will be uncovering a different side of medical heritage; the history of anatomy and how the teaching of anatomy was changed by Vesalius. Anatomy has been coined “the physics of medicine and surgery”, and is the study of the bodily structure of the human and how those structures work together. The word “anatomy” literally means “cutting up”, which is a fantastic description of how this art is best taught; through dissection. Today, it is common practice in medical schools to dissect human cadavers in anatomy laboratories in order to learn the basic structure of the human body. However, this has not always been the case. The knowledge and study of anatomy dates as far back to the times of the Egyptians, however it was the greats of Ancient Greece who truly advanced the understanding of the workings of the human body. In Alexandria, the intellectual centre of the Ancient world, the dissection of executed criminals was a public event and would gather quite the crowd. It was seen as entertainment, much like the execution that had taken place only hours before. Unfortunately, when Alexandria came under the rule of the Roman Empire, human dissection was banned due to the belief that the bodies of the dead should be respected so as not to call down the wrath of the dead upon themselves . Hence, those wishing to learn about the human body had to find an alternative to human dissection; this alternative was animal dissection. One scholar who performed a vast amount of animal dissections and applied his findings to humans was Galen of Pergamum (129 AD – 210AD). 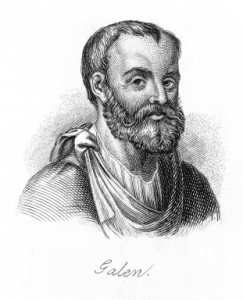 Galen was a Greek physician and surgeon working in the Roman Empire, and was a surgeon to gladiators in Pergamum. This time healing gladiators was the closest Galen got to learning anatomy from a human subject. The majority of his anatomical findings were based on the dissection of monkeys, being the closest comparative anatomy to humans themselves. He compiled his findings into textbooks, which remained the main sources of anatomical knowledge up to the 13th century. 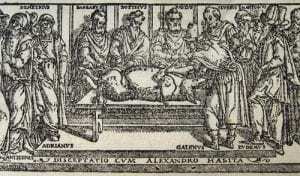 Figure 2- Galen dissecting a pig. Although Galen got some things right, there was a lot that he got wrong because of his application of comparative anatomy to the human body. No advance in anatomy was made during the Dark Ages, and human cadaveric dissection was still highly frowned upon. Thus, physicians and surgeons saw no need to challenge the ideas of Galen. This is where Vesalius enters our story, which will be continued in the next blog post! O’Malley, C.D., 1964. Andreas Vesalius of Brussels: 1514-1564. University of California Press: Los Angeles. Mattern, S.P., 2013. The Prince of Medicine: Galen in the Roman Empire. Oxford University Press: New York.